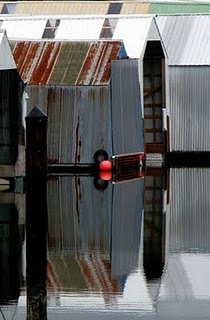 In June 2011, I select posts and photographs from my blogosphere that I think are fine examples of creativity. As a preview of the 2011 Prairie Sagebrush Award, I am posting a photograph by Montucky from his blog, Montana Outdoors. The current focus of his blog is photography. I’ve selected his picture of a female Rufous hummingbird as an example of his three foci areas of shutterbugging — landscapes, wildlife and close-up photography of plants. In the final awards, I will probably include all of his foci areas in the listing. I am privileged to live in western Montana, close to the wilderness and roadless areas that I love so much, and I’m thankful that I am still able to venture up into them and spend much of my time there. Most of the photos that I post are of scenes that cannot be seen from from roads or highways. There is a very beautiful world out there in the wild country and it is my wish to make it visible, by words and photographs, to those who are interested in enjoying it. Female Rufous hummingbird, photograph by Montucky of Montana Outdoors, August 8, 2010. Montana falls within Northern Rocky Mountains. The Rocky Mountain system makes up the eastern flank of the great Cordillera that extends from New Mexico to Alaska. The Northern Rocky Mountains lies from Canada into Montana as a series of parallel ranges such as the Lewis, Flathead and Selkirk mountains. Montucky’s Montana Outdoors utilizes a full-grid reproduction of his photographs. The link for the photograph above is female Rufous hummingbird by Montucky of Montana Outdoors, August 8, 2010. The link for last year’s award: Prairie Sagebrush Award 2010: the full anthology with links. 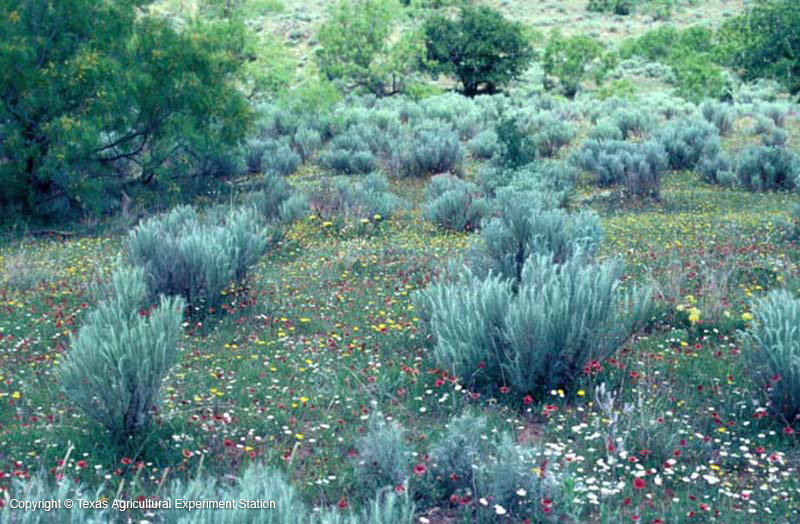 If you comment on the 2010 Prairie Sagebrush Award post (June 27, 2010), I will give a buck for each comment to wildlife corridor protection organizations in New Mexico and Texas. I’ll leave open the comment section for several weeks. One year ago today, June 27, 2009, I wrote my first blog entry, a piece on the Iranian government’s crackdown on the Green Revolutionaries. From that first post, I began to write more as a blogger, eventually settling on two blogs: Sage to Meadow and Poprock Hill. The Sage to Meadow blog is my primary blog. Today is my blogiversary (evolving terminology), and to this day I have selected several posts from my fellow bloggers and present them a Prairie Sagebrush Award for fine writing and photography. I choose to put a blogger on my blogrolls very carefully. The criteria is that the content of the blog is generally nature-oriented; the writing, art or photography distinctive by the following standards: detailed, unified, coherent, literate, insouciant and personal. Each of these qualities is imperative in fine, endurable art. In general, I have associated a photograph or blog icon with each blogger, so as to personalize the writing. Each selection is a jewel in its own display case. Two of the selections are lengthy, but well worth the full-read because the story catches the reader at the onset and builds to a surprising, transcendent climax. This is the longest post I have put together, but I think it should stand as one post, one anthology, so I’ve not broken it down. A few themes emerged as I edited. One is the philanthropic behavior of several bloggers: wildlife corridor protection, watershed development, abused and battered shelters. The other themes are family and comedy. 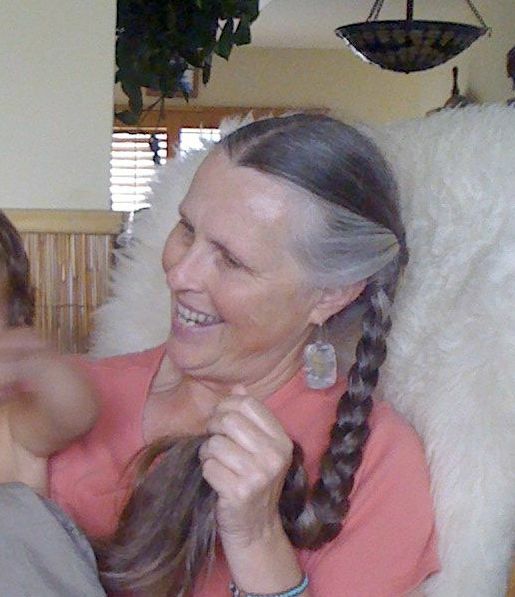 By family, there is a connection to past relations that emerge as a formative influences. Two posts reveal comical twists that leave you laughing. Finally, there is a state of mind that adores the earth and its people and abhors waste and abuse of finite resources. I have written all of my life. Most of my prose is academic and has been juried and edited by authorities. Blogging is different. Mostly, we are on our own and rarely do we get a chance to have editors parse and glean our work. Posts are published and no comments ever made. There is a great place for writers that don’t care about the public and I respect that, but when I write a post, I seek a connection to an audience that can only be described as: See this? Is this not a gift? This plant, this woman, this man, this image, this, this, this? See and read about these beautiful things, for when the sun goes down and roads of the world grow dark, we will have the light of our memory, our writing, our art to get us through the night to Dawn’s rosey fingers (1). Read and I hope you enjoy. For each comment entered on this blog (one per person, $500 limit), I will donate one dollar to the wildlife corridors in New Mexico and Texas. These selections will get you through the night. SELECTION 1: Coffee On The Mesa, “Bringing in the Sheaves,” August 12, 2009. For as long as I can remember August has been a month of putting food by for winter. Growing up in Louisiana we preserved figs, loquats, persimmons, and peaches. When the peppers, squash, tomatoes and eggplants ripened we stuffed them with shrimp and onions and garlic stacking the casseroles in the freezer. Pints and quarts of blueberries, beans, broccoli and cauliflower joined them. And for a week or two I spent days on end canning tomatoes. It is no different here in the high desert of northern New Mexico. I put up apricot preserves and chutneys; freeze beans, squash, chard, beets, raspberries and roasted green chile. Store potatoes, winter squash, pumpkins, onions, and garlic. Can applesauce and stewed apples. And shred and freeze the last of the apples for crisps on cold winter nights. Because we heat with wood, August is also a the time to clean around the wood piles and chopping block and to repair the kindling box and finish stacking last year’s wood…. SELECTION 2: Color of Sand, “A Carved Out Hole Here for Me,” August 27, 2009. At the Sandoval County Dump yesterday, I was moved to tears. And so this personal space begins with beginning to answer that question – why am I so touched at the dump? 1). I had not been able to drive “in the dirt” at the dump in a number of years, and now they have this whole new area available to the public, up the dirt road hill to the 3rd power pole: “Green Waste” “Metal Waste” “Wood Waste” (those last two might not be the official monikers). My spouse has been there lots, he told me this morning (I’ve been going to the Eagle Rock facility these last couple of years and have missed the switchover). He loves to go scrounging there. I like the fact that there’s a place to drive on the pink sandy dirt and a place where we ARE ALLOWED to scrounge. My spouse has scrounged us great stuff at the dump over the years. And many a time he was told “put it back.” A dump is a receptacle for all that we produce and then DISCARD. A place of redemption, potential redemption at any rate. 2). The area around the dump is no longer “just the wild mesa.” There are many many houses and businesses out there along Idalia Road in Rio Rancho, on what, ten years ago, was rolling ‘established’ dunes – the geographical feature that runs all up and down this particular north-south ribbon between Rio Puerco on the west and Rio Grande on the east. If I can apply what I’ve learned about dunes teaching at NMMNHS’s Young Explorers camp, the prevailing westerly winds have piled the loose, plentiful topsoil/sediment from the Rio Puerco into the banks of dunes all along the intermediary volcanic easement that stretches north and south in between the faults. eh – sorry that’s probably hard to follow. If you could see my hands moving with the explanation which I rely on usually, maybe it’d be clearer! The places where the layers of rock have dropped down or shifted up are the places that catch the sand deposited by the wind. And we have a few of those places, or faults, that run on either side of our Rio Grande valley, that originally made our river flow here. I have been to this dump throughout my life – memories fill that space for me – end of days of clean-up – wide views of the western horizon – mingling time with my compadres and comadres in the satisfaction of end of work. 3). Recently read Luis Urrea’s Into the Beautiful North. The place the book centers on in second chapter (and for too little time in the book, in mi opinion) is a dompe outside of Tijuana. Amazing family domiciles were established at that dump in the book. It was a poignant read for me documenting the economic, social, political, community reality that surrounds me. As my family used to say when I was little, ‘Old Méjico, and Nuevo Méjico.’ And now I say, Qué lindo es Méjico. 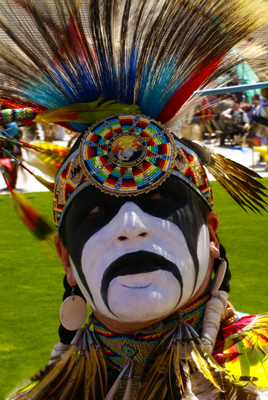 SELECTION 3: Evangeline Art Photography, “Gathering of Nations Pow Wow,” April 24, 2010. SELECTION 4: I Love New Mexico Blog: All About Things New Mexican, “Second Grade in Logan, New Mexico,” March 2, 2010. 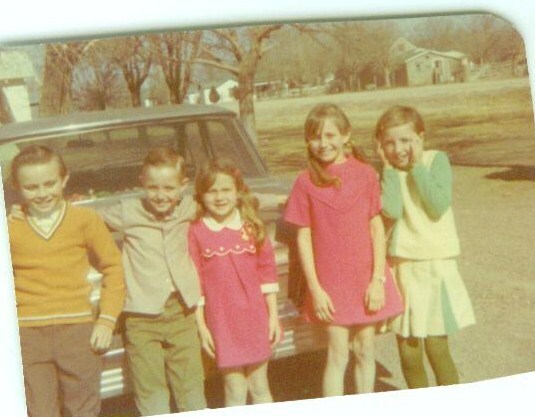 It is a cold, blustery Tuesday afternoon in eastern New Mexico, November 1967, and as I ride the school bus home, I think hard about how I can avoid going back to the second grade and Mrs. Pittman tomorrow. I always hope I’ll catch a cold (maybe death) overnight, or there is the eternal excuse of a stomachache. I hate second grade; everything about it makes me want to cry. Billy Jack Shiplet makes fun of my home perm, Tommy Barber tells dirty jokes I don’t understand, Glenda acts like she isn’t my friend anymore and of course, once again, my mother has trimmed my bangs too short and I look like an idiot every day. I stand in front of the mirror every morning pressing my bangs against my forehead, willing them to grow, grow, grow now, right now, before I have to get on the school bus, and my brother Klee stands outside the door, yelling for me to get out of the bathroom. There are four of us to get ready every morning, and only one bathroom, and there is always yelling…. Mrs. Pittman is right. I am so spoiled that I can hardly stand to be away from my mother for even a night, unless it is to go to Grandma Ayres’ or to Susie’s. Even if I spend the night at Susie’s and then cry to go home, my daddy will come to get me at 11:00 p.m., driving the 23 miles from our farm to his brother Marvin’s place. I have been to sleep at Glenda Horne’s house once or twice, and I am trying to be brave, but I tend to avoid that sort of thing in the second grade. Too scary. But nothing is as scary as Mrs. Pittman is to me at this moment. This is what I’m thinking on this November afternoon going home on the school bus. Junior Osborn has alway been our bus driver. He’s at the Baptist Church as often as we are, and visits with my parents two or three times a week, his wife Mildred having us over for coffee after prayer meeting on Wednesday nights. He drops off Vernon Mathis and his little brother, with only the Bruhns and Walker kids and us left, and then the Halls, who have to ride the bus another thirteen miles out on the Trigg Ranch road after our house. He’ll let the Bruhns out, and then Junior will head north to drop off Mary Anne and Wesley Walker before taking us home and then taking the Hall kids out to the ranch. Although they usually ride with us, there’s not a single Tixier on the bus this afternoon – their mother picked them up from school, having come in from the ranch to rail at the principal for expelling Mona for wearing too short a skirt. It is not the same as her defending Quentin for sniffing glue, but she is still the stuff that small town legends are made of, this mom of those six Tixier kids. Unlike my parents or all the other parents I know, Mrs. Tixier will fight the administration and always say her kids are right. There will be no threats of a paddling when they get home…. SELECTION 5: The Block Blog, “What Seven Remarkable People Wanted: The Israeli Kibbutznik,” February 16, 2010. After an overnight flight from New York City, the wide-bodied TWA jet landed in Athens, Greece. Several hours later my connecting flight turned sharply to avoid a neighboring Arab country’s air corridor and eased into the glide approach for Tel Aviv’s Ben Gurion International Airport. I pressed my face against the plane’s small window. I wanted to see Israel again. Which meant feeling Israel. I ached to walk narrow, cobbled streets and hear history’s deep echo. I longed to taste the swirl of salt breezes and desert sand. I hungered to bite into a ripe fig and taste the wisdom of gnarled roots. I wanted sit in the shade of a date tree, eyes closed, and feel perspiration’s cool tingle. As if to confirm what awaited, Israel’s curved shoreline opened into a wide panorama. My heart thumped into an audible gasp. The Mediterranean Sea’s turquoise-blue waters reached into the noon-day sky. Bursts of sunlight exploded atop arched waves. And, much as diamonds enticed a lover, the powerful waves fell into satiated ripples that lazily teased golden beaches. The jagged and gentle waves both rocked and calmed my soul, a soul that begged for more…. SELECTION 6: New Mexico Photography, “Chaos Theory and the Art of Catering,” March 14, 2010. Catering has always appealed to the uninitiated. Urban legend insists that if you can cook, you can cater. After all, how hard could it be? New Mexico has always been full of inept wannabe caterers with dollar signs in their eyes. Sometime I think I’ve worked for all of them. The fantasy goes something like this: You arrive with everything you need artfully arranged in your crisp tuxedo shirt. Course after course is perfectly served. The dishes seem to wash themselves. You smile demurely at the compliments and scattered applause. On the drive home, you glow at the large unexpected gratuity. Those of us in black and white who’ve been underpaid to serve know better. It’s more like tap dancing on a tightrope without a net. The difference between a real circus and the social one is that you pay in advance at a circus. Caterers are never really sure if the check the inebriated client wrote will clear. On the other hand, the client is never really sure what they’re getting, either. I’ve catered parties that blew up so badly that the smell of cordite should have followed me as I slunk out the back door unpaid and hopefully unnoticed. When I took the leap and went out on my own, I was going to go the distance and enter the ranks of Santa Fe’s catering elite. After all, I had the best logo, an elegant line drawing of a hand holding a strawberry over parted lips and three years of working for the best caterers in town. I couldn’t lose. I should have realized a pattern was set when my florist died while filling my order on my first crucial job…. SELECTION 7: Sea Mists and Sunsets, Chris Schutz, “Aaarrggghhhh,” August 22, 2009. After two months of living here I have to admit that every now and then I find myself going absolutely bonkers. I can’t find fennel in any grocery store. I can’t eat sushi unless I’m willing to drive three hours to get it. There are no book stores or vegetarian markets. We are in the middle of no…where…. I asked a town veterinarian what one does in case of an after-hours pet emergency, recently, and he said, “I’ll answer my phone if I’m around….” Not exactly reassuring. Then I went to a Raton theatre production, and there he was up on stage, acting his finest Bob Cratchett. All I could think of while I sat there in the dark, was Finlay [pet dog] at home one night bloating up or something, while our vet twirled Tiny Tim above his head. New Mexico is no place for the neurotic, that’s for certain. And where it comes to pets, they just don’t get any more neurotic than me. Last night my husband and I went out for a big night on the town. We chose a new restaurant to try which had been written up in Frommer’s New Mexico travel guide as a must-stop. It was the most bizarre, borderline disturbing experience I’ve had in quite some time. All I wanted was a cheese enchilada. It seems, however, that you can’t get a cheese enchilada at this fine establishment sans sea of pork or beef sauce, which I don’t eat. Rather than work with me a little, I mean, I would have eaten it with nothing but salsa on top, this surreal waitress simply informed me that I “couldn’t order the cheese enchilada if I didn’t eat beef or pork.” So I settled on a really mediocre substitute, when what I should have done is just gone elsewhere. But then, had we done that, I would have missed out on overhearing the life drama of some other patrons sharing our dining experience that night. A rancher man, complete with western shirt, Wranglers, and an alabaster ten-gallon hat, sat with his wife and teen aged son. The kid had the typical wry, smug aura of an 18 year old, who had recently found himself in some trouble with the law. Though it was not certain what he had done, it was clear that he felt no remorse for it, and that nobody had been harmed in the infraction’s making. He thought it was funny. The rancher dad… didn’t seem amused. But when the kid shook his head, suppressing a laugh, and said, “I don’t know! All I remember is lights flashing on me, unable to move, ’cause I was all wrapped up in barbed wire. It’s not like I could run away.” They finished their meals and stalked out, leaving Aaron and me to quell wild laughter, as much as we tried to rise above it. So looking at the silver lining here, had I gone to another restaurant which would have served me the cheese enchilada I craved, I would have missed out on this classic western story. I mean, the visual of some kid wrapped up like a barbed wired burrito while attempting to roll away from the local sheriff, flashlights and cop cars illuminating the scene of the hilarious high-desert crime is worth any poor dining experience isn’t it? I can see the police officer, walkie-talkie in hand, mumbling back to headquarters, “Found the perp. No need for backup.” Could I get that kind of priceless voyeurism in Minneapolis? I think not. So when I start to focus on the human experience in Raton, those everyday things that this part of the world doesn’t provide, I need only switch my focus back to the understanding of what it does provide. Rich experience, the free flow of writing material, the natural world in abundance, and the opportunity for me to grow, despite the dearth of fennel, book stores, and sushi. SELECTION 9: Taos Sunflower, “It Takes a Village,” October 29, 2009. Today is the annual radiothon for Tao’s Citizens Against Violence, an outreach organization/shelter that is fervently working to reduce domestic violence in our community. I’ve heard that domestic violence is up because of the down turn in our economy. I have no problem understanding how that could happen. Statistics are grim (1 of 3 women will be raped in her lifetime), but if everyone remembers to support these groups, in whatever way you can, perhaps one day we won’t have to have these big fund raisers. Remember that some of the worst sufferers of domestic violence are children and pets. 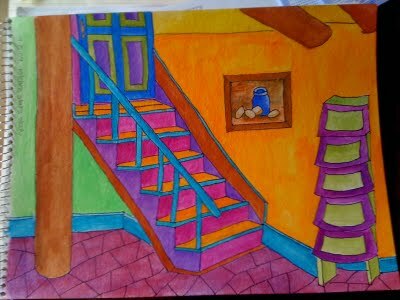 I didn’t grow up in a home with physical violence, but there was another, more insidious thing happening: mental abuse. Abuse seems an extreme word to use, but it’s the only one I have at hand right now. I saw my mom’s end of life be miserable because of it, and I know how it has affected me. I can say my dad did the best he could or knew how to do, but the results linger long after his death. For those of you with children in your lives, I urge you to remember that sometimes what seems like a joke to you can hurt more than a smack, and a little bit of criticism can go an awfully long way (if it’s even necessary). On a lighter note: I’ve been herding dust bunnies and taking care of Mt. Washmore this week, so my creative time has been in bits and pieces. I’ve started some more log cabin squares (in front of TV at night) and have been working in my sketch book. Don’t recall if I mentioned this before, but this summer I was inspired by my friend Liz to finally get the pencil, the book, and the eraser out and just go for it. Today I’m sharing a drawing I did while eating dinner one night last month. The painting on the wall is actually a copy of a real oil painting I did in class some years ago. I love that I have the freedom to make my world be any colors I choose. May you, as well. 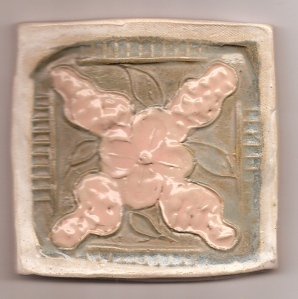 SELECTION 10: Teresa Evangeline, “Merriam-Webster is a Friend of Mine,” May 14, 2009. Summer afternoon. “Summer afternoon…the two most beautiful words in the English language.” — Henry James. They are beauties, that’s for sure, but I have many others I could add to that list. Countless. Words communicate ideas. Every single word carries with it that idea. How we talk with friends, how we establish communication via words, carries weight, holds meaning. What I love most though is the written word. That’s where dictionaries come into play. I do mean play. I love a spirited, but gentle, debate over what a word means or how it’s pronounced. Nothing like a good dictionary to settle the question. Early last winter a dear friend and I had just such a debate over the word homage. He, like so many other misguided folks, wanted to use it with this faux French pronunciation that’s been making the rounds. There is no such word as “Oh- mazh” (accent on the second syllable). It is homage, accent on the first syllable, with or without the h. Look it up. In a real dictionary. Which brings me to Merriam-Webster. I like to imagine Merriam-Webster to be a “her”, a 1950’s farm wife, sitting at her kitchen table in a plaid cotton housedress, apron on, getting ready to fix supper. Her full bosom is almost resting on the table. She’s writing in longhand, intent on getting just the right nuance to a word that crossed her mind while at the stove, meticulously recording it in notebooks for us and future generations. M-W’s Collegiate Dictionary has been my dictionary of choice for many years. It doesn’t mean I don’t like others, but I love M-W, the current one being the Eleventh Edition. My favorite, though, is Webster’s Seventh New Collegiate, published by M-W. It’s not just any dictionary.It once belonged to the Cripple Creek-Victor High School in Colorado. My ex was the janitor there in the early to mid ’70’s and when the school was razed for a new one some of the books, including this dictionary, ended up in the discarded pile. It still has the CCVHS Library stamp on the title page and glued in the back is the card holder, with card, for checking out Copy 17. He carried this beauty with him for many years, accumulating notes and lists and various bookmarks inside as he went along. I coveted it. I mean Biblical covetousness. Imagine my surprise when it arrived in the mail in April of last year as a birthday present from him. It came complete with his notes, lists, bookmarks and sundry other items that carried with them the kindness of memory. There was the sales slip from the t-shirt shop in Moab where we bought shirts for his sons on a vacation back in ’92 and the pressed paper from a pack of cigarettes he bought on a trip into Mexico. His lists contained such items as “Barn Bluff, Red Wing – pix” and “St. Parks of the N. Shore.” Words to look up included panegyrist, seigneurial, and the ever popular salacious. He knew what it meant. He just wanted to be sure. Life goes on. He lives in Moab now. I’m glad we’re still friends. Dictionary.com ? Not for me. I want to go to a real one and experience life as it’s meant to be experienced. In real time, with real objects. Objects that carry with them not the weight of memory, but the kindness. 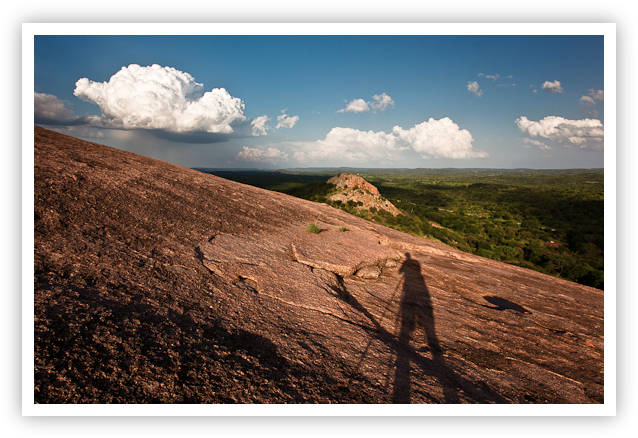 SELECTION 11: Jeff Lynch, Serious Amateur Photography, “Texas Hill Country Self Portrait,” May 4, 2010. 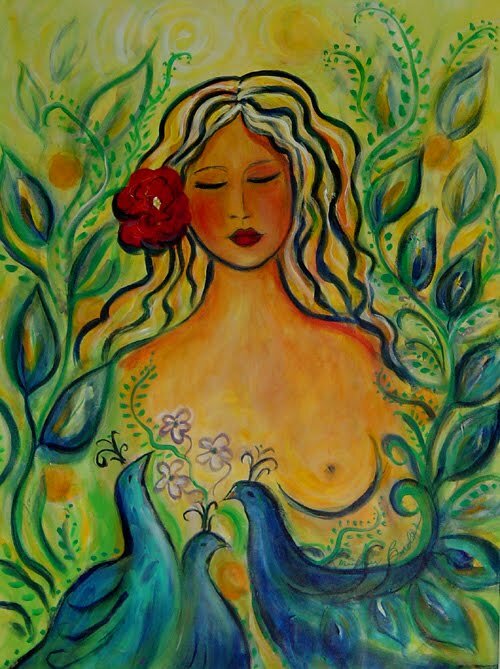 SELECTION 12: Bonnie Bardos: Bohemian Artist, “A Bird Rose and Flew Skywards…,” January 22, 2010. 1. In my introduction, attributions due to Homer’s The Iliad, The Odyssey, Robert Fagles translations. Well, here they are, the best posts of my blogger friends! The Prairie Sagebrush Awards for 2010! I have picked one post from each of my blogger friends I have known for several months. The criteria for selecting the post is based on narrative unity, coherence, literacy, specificity and emotional appeal. These selections I’ve made are full of haute prose, local color, personal intensity and revelation of character. For each reader comment (one comment per person), I will donate one dollar to a Wildlife Corridor fund in Texas and New Mexico ($500.00 limit). 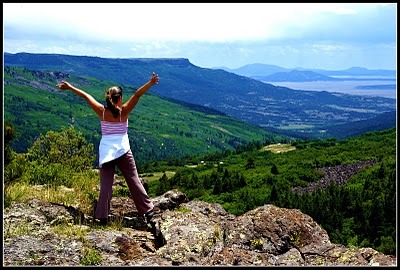 Stark Raving Zen on “Joy of Barbed Wire.” Kristy Sweetland lives in Raton, New Mexico. 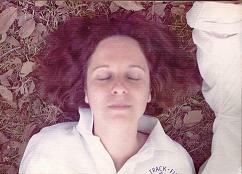 Her blog, Stark Raving Zen, concerns her personal odyssey to the land of enchantment. 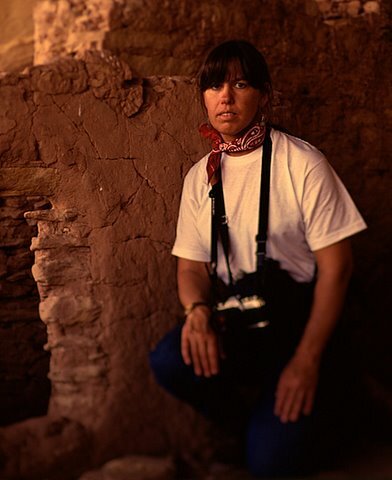 She and her husband go frequently out into the back country of New Mexico and have written and photographed numerous posts about small towns and wildlife. Kristy’s writing is quite serious and she has embarked on a new career in psychology. Yet, even in her serious writings and musings, a streak of comedy breaks through, as you can read below. Next: The Block, Teresa Evangeline, Evangeline Art Photography, New Mexico Art Photography and more! On June 27, 2009, I began blogging. My first blog was The 27th Heart. Over a period of time, I changed the name of my blog to Sage to Meadow. In order to celebrate and pay attention to a year of learning and relating to other bloggers, I am going to give a Prairie Sagebrush Award to each of my blogging friends for their best post. Read the details below. The First Anniversary Prairie Sagebrush Awards, June 27, 2010, will be given to the finest post written by my blog friends, during the year, 2009-2010. One post will be chosen from each blog and I will edit and publish them as a collection on June 27, 2010, on Sage to Meadow. For each reader comment, Sage to Meadow Blog and Flying Hat Ranch will donate one dollar to a Wildlife Corridor in west Texas and New Mexico–see details below. I will not designate a first, second or third place, but rather select the one finest post from each blogger. How can I? 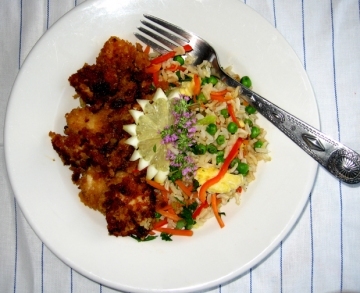 Each blogger has great posts and I’ll post the one I like the best–personal taste. Why Choose the Prairie Sagebrush as Logo? The Prairie Sagebrush is a native plant that is an important winter feed for Elk, Pronghorn and deer throughout the American West. 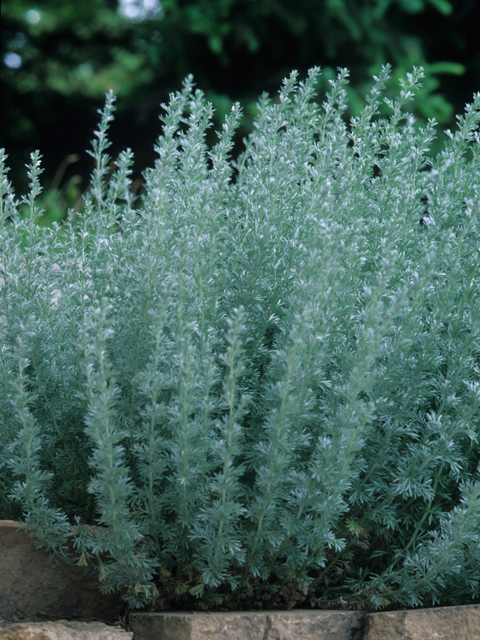 It is an edible herb and aromatic. So many aspects of nature are associated with the American West and Southwest, but among the more prominent are sagebrush, antelope, deer, elk, buffalo, pines and the Rockies. The sagebrush is imperiled–see my page on Sagebrush. 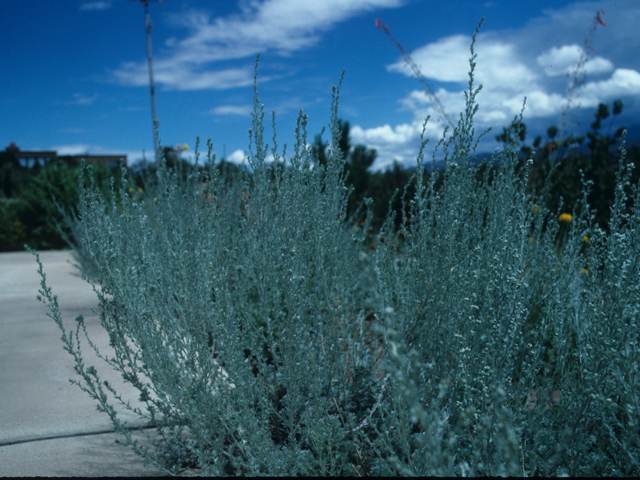 The Prairie Sagebrush and other varieties of sage provide one of the most sensual and pleasurable plants known to man: perfume, cooking and wildlife habitat. The burning of sage in Native American ceremonies implores sanctification and purification as well as perfumed smoke about the room. I used to burn sage in my fireplace and briefly close the flue to smoke-up the room. I use sage in cooking, both chopped or whole leaves. Lewis and Clark reported that antelope would rub their foreheads on sagebrush for its perfumed scent. I look forward to re-reading posts of 2009-2010, and putting together a collection for the Prairie Sagebrush Awards, June 27, 2010. I’ve already started collecting and the blog posts are most outstanding! For every reader comment, Sage to Meadow Blog and Flying Hat Ranch will donate one dollar to Wildlife Corridor organizations in west Texas and New Mexico. (Limit is $500.00 and only one comment per reader counts.) We need Wildlife Corridors so that migrations of beautiful animals may be seen by our grandchildren.